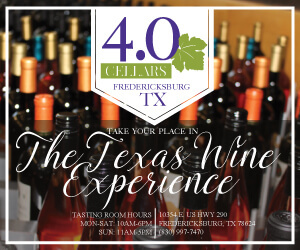 I am lucky to live on the edge of the Texas Hill Country; it gives me easy access to many of Texas wine’s popular destinations. But sometimes, I want something a bit closer and with less traffic. 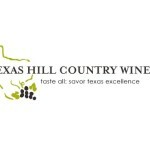 I recently found a new option that fits that description: Hill Country Cellars Winery. 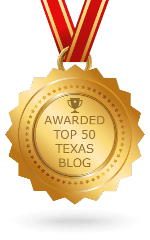 They opened in Bandera right on Highway 16, and I live right off the same road—Bandera Road in San Antonio. So as soon as I could manage a few hours, I set out to the newest nearby winery. 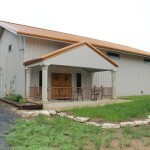 Hill Country Cellars Winery’s tasting room is located in a strip center on the east side of Bandera. One of their neighbors in the center is a brewery. From the front, it stands out, in a good way. Large trees on the side shade the entrance and side porch seating. The trees also surround a decorative windmill. This ambience is a stark contrast from the busy highway and the rest of the strip mall—and is a very welcome one. That same relaxed feeling awaits inside. I worried that I would walk into a confined space, but I did not. The front entrance is small, but it opens into a larger space. 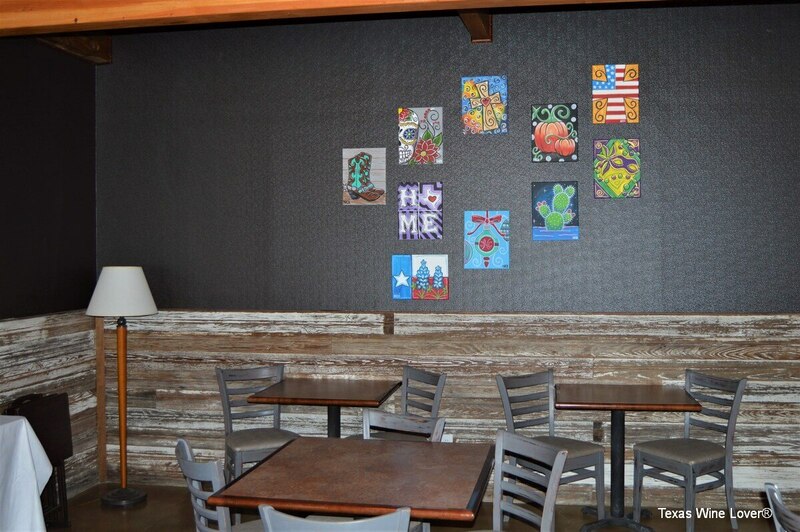 The inside is framed by wood accents from reclaimed wood (acquired from an old house), and all built by the family. Only a few tables occupy this spot (from lower table to high-top). They lead straight to the large bar. 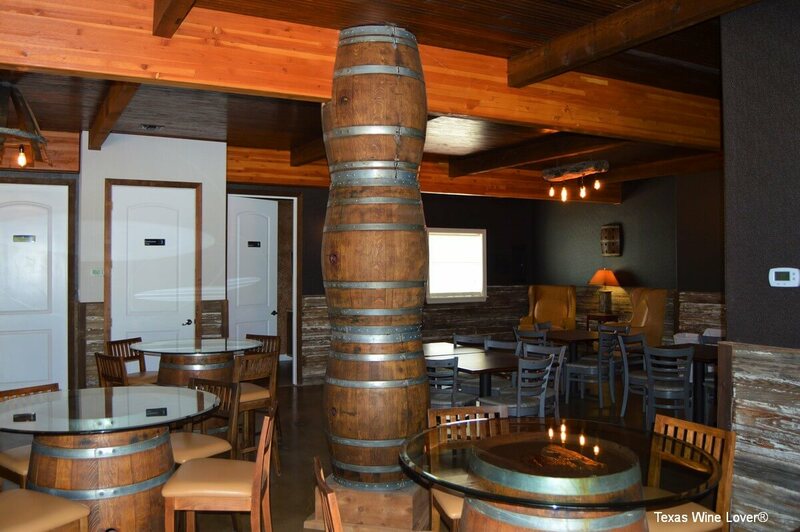 Like the rest of the room, the bar is made from reclaimed wood, except this wood came from an old bowling alley. The bar is the central spot, as it looks out to the door and out on to an even larger space full of tables and other comfortable seating, including arm chairs and a sofa. 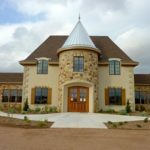 When I got there, I had no idea that the side porch was only a small fraction of the outside seating at Hill Country Cellars Winery. In fact, they have a wine and beer garden in the back. The large open space is aesthetically pleasing, and it has plenty of seating and a separate area for outdoor games. There is little shade back here, as the trees in place are either not big enough or on the edges. Right now, sitting outside with a glass of wine, even their refreshing sangria, is a bit uncomfortable. 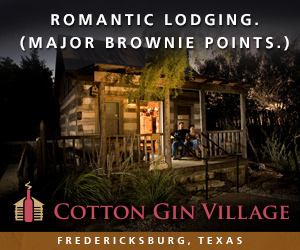 However, once the weather cools, sipping on a red outside should be a popular pastime. 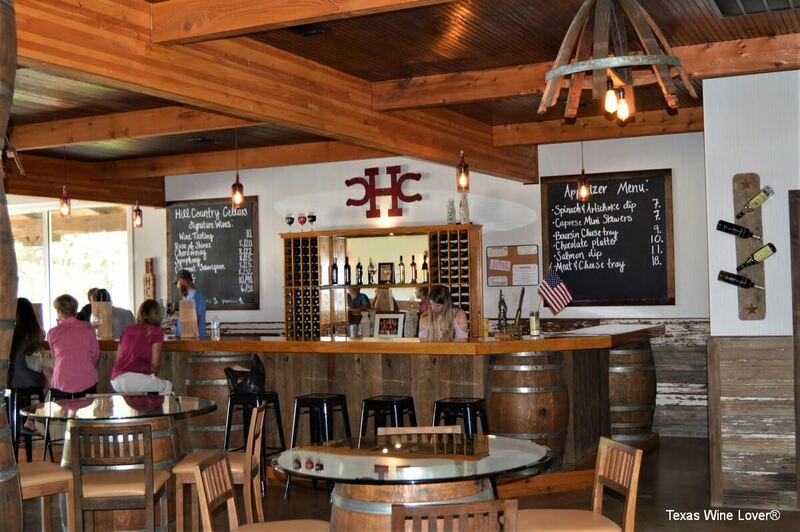 During my tasting, I learned a bit about Hill Country Cellars Winery. 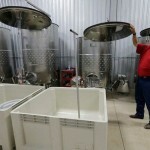 The entire operation is a family project, from construction, to grape growing, to winemaking, and to pouring. 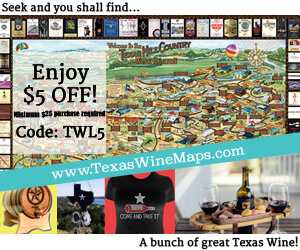 The Word family works hard to share their love of wine with Texas. The Words found their way into winemaking through several sources. 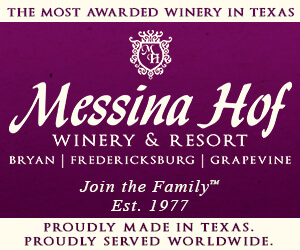 The family are cousins to the owners of Lost Maples Winery in nearby Vanderpool. 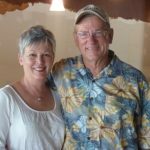 Alice and Rhett’s son Terry decided he wanted to grow grapes and make wine, so he went off to study at Texas Tech. These days, he gets to grow his own grapes and make wines, all with the help of his family. 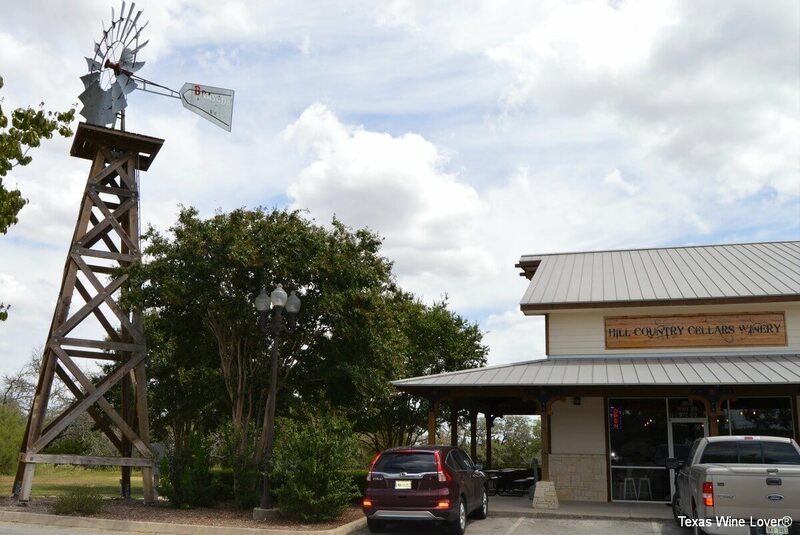 Being in a strip center does not afford Hill Country Cellars space to make wine, or land for a vineyard. 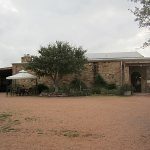 The family vineyard is in Medina—one of Texas’s dry counties; this led to the Words choosing a nearby location (in this case Bandera) for the tasting room. And anyone who has ever looked into starting a winery knows that equipment costs can be enormous. Luckily for the Words, their family at Lost Maples allows them to use their equipment. 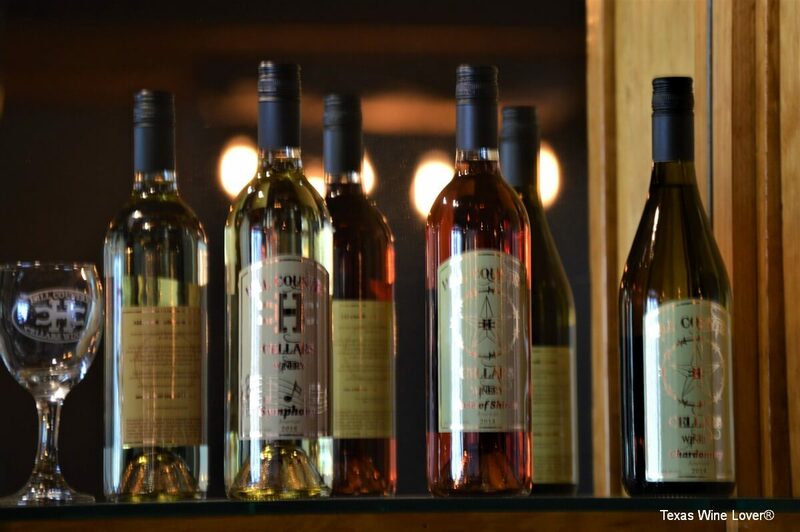 Tastings include six 1-ounce pours of their current wines (there are discounts on the tasting based on the number of bottles bought). Guests can sit at the bar or at a table. 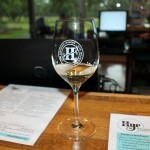 Glasses are rinsed between wines. They provide a dark, bitter chocolate truffle, as well as crackers, for the tasting. They also have food available, and they make sure it pairs with the wine. I arrived early on a quiet Friday afternoon, so I choose to sit at the bar. Several members of the Word family were there. Their winemaker, Terry Word, did my tasting. He talked a little about each wine, making sure to share information about the winemaking process for that wine. If I had questions, he had answers. Most of the wines I tasted were American appellation. That is the way things are for now. They are working towards moving to all Texas grapes. Rose of Shiraz (2014): The wine is more like a blush, as it is off-dry. The juice stayed on the skins for 16 hours, giving it a rosy color. The wine is fruit-forward and helps to make the residual sugar less noticeable. Chardonnay (2014): This wine was never oaked nor did it go through malolactic fermentation. Tight stone fruit nose carries into the taste. It ends dry and smooth. Symphony (2016): The American hybrid is all fruit, and the natural sweetness that comes with it. That same sweetness grows to end with a smooth, sweet finish. 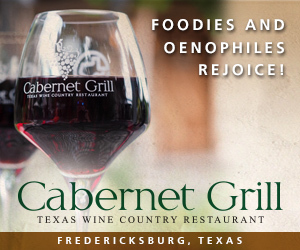 Cabernet Sauvignon (2014): This wine is dominated by the oak and pepper notes, with the unripe red fruit an undertone. 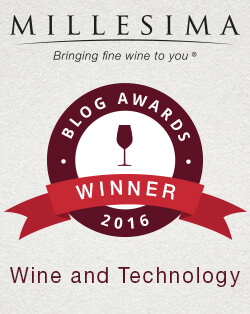 Cabernet Sauvignon (2016): This was a new wine not yet on the tasting menu. However, they made a point in doing a vertical tasting with the 2014. 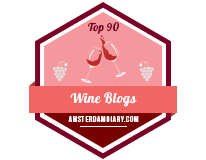 The 2016 showed with lots of solid red fruits with a hint of oak and pepper. The wine was smooth and clean. Compared to the 2014, it shows a lot of nuance and maturity, a sign of incredible wines to come. Malbec (2014): The wine spent 18 months in new oak. 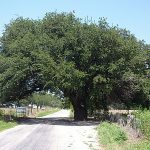 The oakiness is a major part of the flavor, but it is paired with deep, dark fruit. Black Spanish Lenoir (2015): This wine comes from grapes grown on the family vineyard in Medina County. The wine spent 22 months in barrel (something absolutely necessary for a dry wine). The natural sweetness common in Black Spanish is upfront as the wine slowly calms down. More of the grape is currently being used in a port-style wine yet to be released. For those wanting to stop by, Friday night and Saturday draw the largest crowds. On Saturday, those visiting the area tend to come in. Friday night, though, is all about live music. During our conversation, Alice mentioned that Sundays were often dead, so, for the time being, they are closed to spend time with the family. 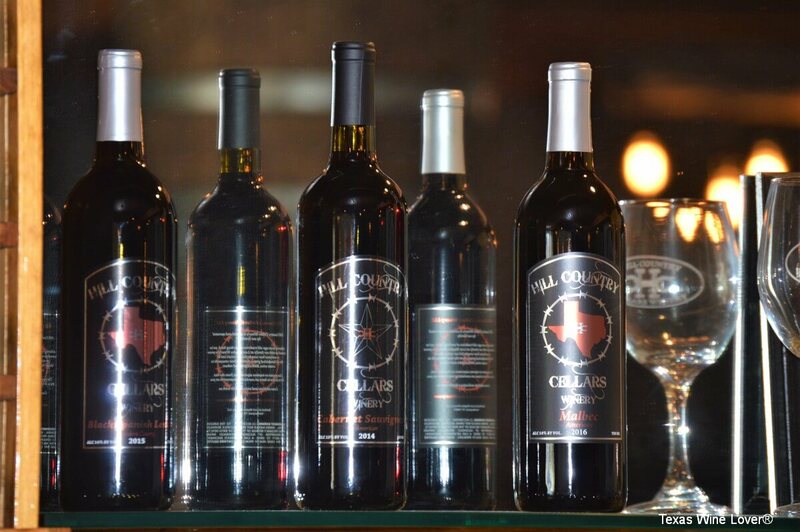 In the end, Hill Country Cellars Winery is all about family.